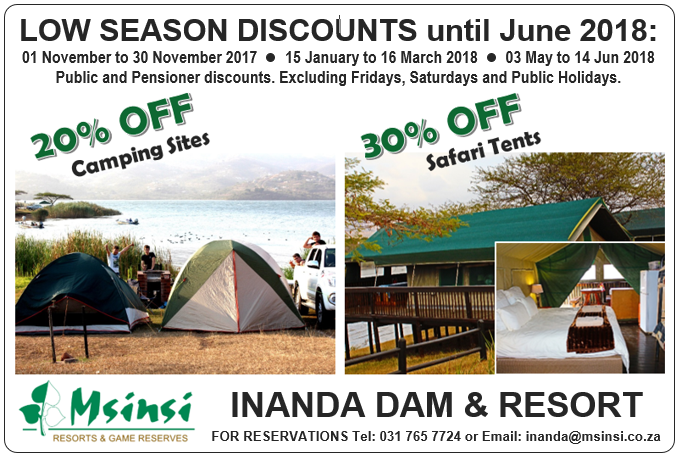 Welcome to our value-for-money rates at Nagle Dam and Game Reserve! Make the most of our family-friendly entrance fees – infants up to the age of three years have free entrance and we reduce entrance fees for children under the age of 12 years by 50%. Pensioners (over 60) also benefit from a special cut-price entrance rate. HIGH SEASON: Friday and Saturday (weekend), school holidays, and public holidays.